Discover how the entire look of your face dramatically changes. 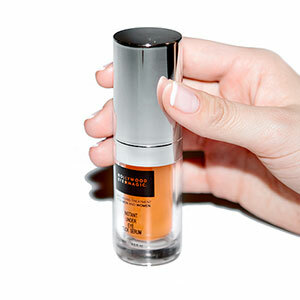 Look and feel more confident with your personal makeover in a bottle. With Collagen Boosters, Natural Extracts and healing properties, our exclusive unique formula is oxygen infused for maximum effect. Hollywood Eye Magic works immediately and lasts up to 12 hours with the first application and has a cumulative effect by firming, strengthening and rejuvenating with daily use. Get rid of unattractive “bags” and look younger! Firm and Tighten your eyes in an instant.